The chapel is the only remaining part of a Franciscan friary established in 1267. Greyfriars (named for the grey habits of the Franciscan order of monks) was the first Franciscan monastery in England. 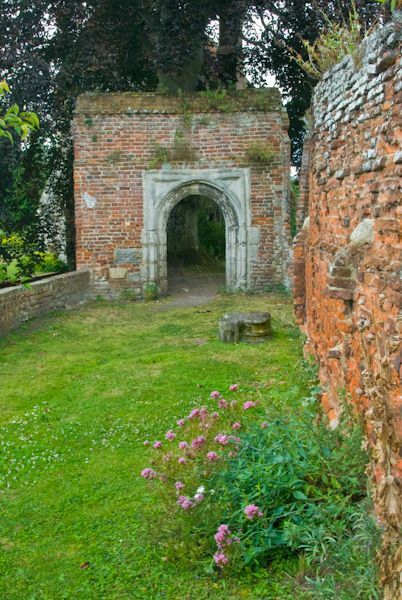 The friary was established on an island site granted by the master of Poor Priest's Hospital. In 1263 a further grant of land on the far bank of the river allowed the friary to expand, and it eventually grew to take in 18 acres. It is not clear what the original function of the two-story chapel building was; it may have been an infirmary or residence. 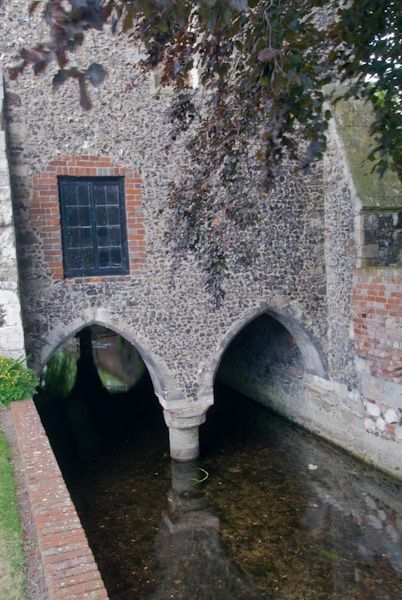 The chapel stands astride a small stream, supported on two arches above gently flowing water. 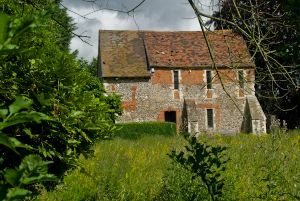 The friary was disbanded by Henry VIII in 1538. 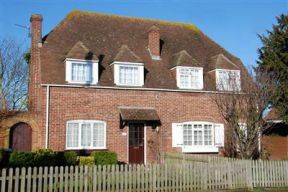 In 2003, fully 465 years after they left, Franciscan brothers returned to Canterbury, and today they live in nearby cottages and work in the city centre parish and Eastbridge Hospital, and worship in this old chapel building. 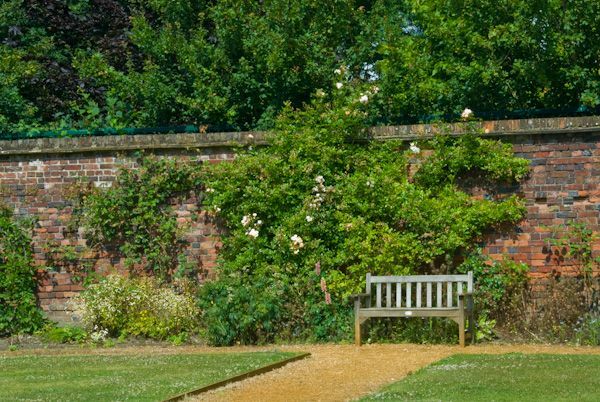 Surrounding the chapel is a small garden area bounded by old brick walls. 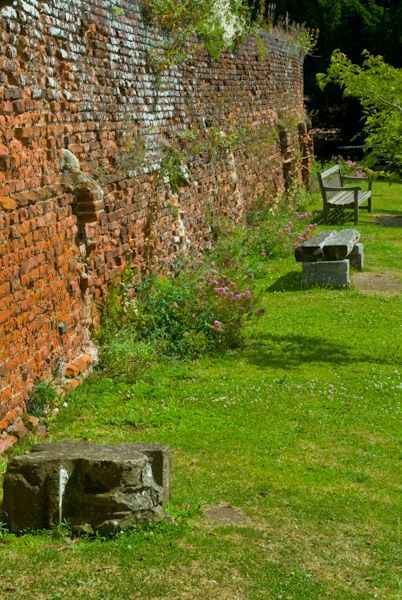 The garden and stram are a welcome oasis from the bustle of Canterbury, yet are only a few steps from the gatehouse to Canterbury Cathedral. 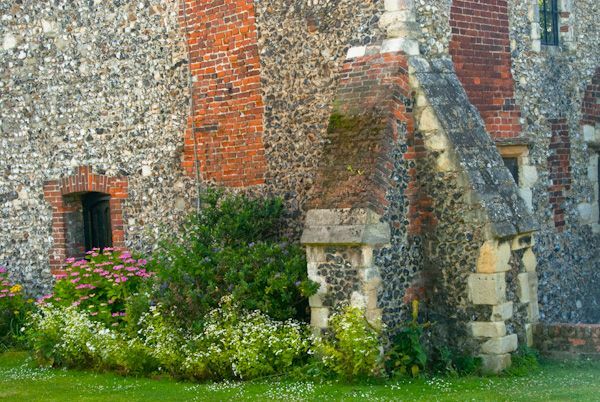 It can be tricky to find Greyfriars Chapel. The best entrance is through a courtyard signposted off Stour Street. There is also a footpath behind the Canterbury Museum which leads past the chapel grounds, affording reasonable views. It's worth making the effort to find Greyfriars, though; its a lovely medieval building in a wonderful setting.